Much of what there is to be learned about managing your finances properly comes when we tame our emotions and focus on the psychological aspects of financial decisions. A mistake that many people make when they get paid is that they have much of their cash on the way out as soon as it comes in. This typically happens when an individual has credit card bills and other debts to pay. The easiest way to avoid this type of occurrence is to make sure you only charge to your credit card(s) that which you know you can easily pay back when you have income come in. Secondly, even if you find yourself stuck with some bills, be sure to keep contributing to your 401(k) for the tax and compounding benefits and save a set percentage of every paycheck for an emergency fund. Ultimately, the 401(k) and emergency fund contributions are two cash "outflows" that shouldn't make you feel bad because by making them, you're only helping yourself. By not "segmenting" (outside of the 401(k) and emergency fund contributions) your money before your actual paycheck is deposited, you will immediately begin to see substantial savings. After all, it's much harder to spend money when you can actually see your account balances declining with each purchase, rather than simply thinking about it and accounting for it later at which point you'll likely realize that most of your paycheck is gone before it's even arrived! I came across an interesting and informative article the other day - "10 Financial Myths Debunked". An especially relevant myth is assuming long-term average stock market rates of return of 8 percent as are certain rules of thumb when planning for retirement. Point 4 is relevant because most people are way too optimistic when it comes to calculating potential rates of return during retirement planning. From a young age, it pays to err on the side of caution and assume anywhere from a 5-7% long-term rate of return on your portfolio. If you have the time, use a financial calculator to plug in your current investments, time horizon and potential rates of return from 5-7% and see where you end up during the year you plan to retire. By assuming a smaller potential return, you will be able to set up the best possible plan to reach your goals and ensure that your investments don't overpromise and underdeliver. It's also worth noting that "rules of thumb" in the investment world are rarely worth the paper they're printed on because each person is different and the world is not static. Since the world we live in today will be drastically different than the world we will live in 40 years from now, it's not worth prescribing to certain rules that simply can't change with the times. For example, it's impossible to tell what type of health we will be in, what our family situation will be like and how the world will really be so far into the future. Thus, we should plan our investments out based on our own goals and risk tolerances, while avoiding "catch all" rules of thumb that don't accomplish much. As a new entrant into the working world, I was recently faced with the task of figuring out what my 401(k) options were and deciding on an asset allocation appropriate for my age. Asset allocation decisions are such that if you ask 50 different experts for opinions on what an appropriate asset allocation is for a 22 year old, you are going to receive 50 different answers. The key in deciding on an appropriate allocation in your 401(k) is to take advantage of the opportunities you have as a young investor. First and foremost, I cannot stress enough the importance of maxing out your 401(k) contributions each paycheck while you are young. While preparing a monthly budget, you should decide on a pre-tax contribution percentage that will enable you to achieve maximum savings while at the same time ensuring you are not cash poor when all is said and done. For example, if you earn roughly $2,000 a paycheck and contribute 10% of your pre-tax pay to your 401(k) then that's an automatic $200 investment every paycheck. If you get paid twice a month, this adds up to $4,800 a year. The beauty of this is that the percentage is taken from your pre-tax pay so that you achieve maximum savings benefit and as a result, pay less taxes because you are no longer taxed on the $2,000 you would have earned, but on $1,800 instead. I encourage you to calculate what percentage you can afford to contribute and then maximize that - the benefits of the long-term time horizon you have are many. Now comes the part where you need to decide what to invest in. While your plan sponsor may encourage you to invest in an target retirement fund, I would first check the total expense ratio of such a fund and its holdings. If the fund is actively managed, it is likely to have higher costs and may tend to drift away from its stated objectives as the underlying funds ebb and flow with the markets. Your best options are index funds and I would recommend an asset allocation along the lines of: 60% total stock market index fund, 30% total international index fund and 10% total bond market (or high yield) index fund. This asset allocation, while only a suggestion, will give you a broad exposure to the U.S. stock market, international stock markets and provide some bond exposure which you are likely to increase over time. I came across an article in the Wall Street Journal earlier in the week detailing the performance of some key hedge funds as they deal with the bumpy ride the stock market has offered up lately. Amidst all of the volatility, some funds have scored impressive gains by having investments in traditional safe havens like gold and Treasuries. Meanwhile, John Paulson's firm, Paulson & Co. has dealt with the opposite - severe underperformance to the tune of -31% at his Advantage Plus fund and -21.5% at his Advantage Fund. This serves to demonstrate how difficult it is to beat the markets, even for the experts. After all, Paulson was the fund manager who racked up very impressive gains during the mortgage market meltdown that lead to a person windfall upwards of $5 billion + dollars. Thus, this news should give individual investors some comfort because many successful professionals who manage money for a living are having a very difficult time outperforming in such a weak environment. If the experts can't consistently outperform, why should you try to and even more importantly, why even try to pick managers who try to beat the market? Sometimes it takes a volatile market and large gyrations in stock prices to help reinforce key investing principles. If one thing is certain about the financial markets, it's that change is constant. We are likely to see many changes and new developments over the next few weeks, especially in light of S&P's downgrade of the United States' credit rating from AAA, the safest possible rating, to AA+, one notch below. While we can't know of any of the changes that are likely to take place, it helps to have some perspective and take solace in the fact that in 2008, when things were much worse, we were able to recover from many major firms failing, or coming dangerously close to it including: Bear Stearns, Lehman Brothers, AIG, Washington Mutual, Wachovia, Merrill Lynch, Fannie Mae & Freddie Mac and many more. While much of the current crisis is centered on the shortcomings of policymakers in Washington, much of the blame can also be passed along to the Eurozone, whose financially secure members are forced to bear the burden - including potential bailouts - of those nations facing insolvency. Going forward, it helps to look back on the 2008 financial crisis and realize that things are much better today than they were then. Ultimately, the United States rebounded strongly and was able to prosper in the wake of such difficulties; hopefully we are able to do much the same now. By and large, I have told readers that it's important to avoid paying too much attention to the headlines and instead employ a long-term approach when looking at investments and the financial markets. Our collective will in executing that has been shaken lately by dire news reports ticking down the hours and minutes to when the United States may potentially miss its first debt payment and in effect, will be considered in default on its financial obligations to its creditors. While this news is indeed scary, it's not something that should shake your confidence too much for two reasons. First, if the market was taking such a prospect as seriously as the media makes it out to be, then the major market indices would have shed much more of their value in the weeks leading up to the August 2nd deadline. I look at it this way: based on the efficient market theory, everything that can be known about an investment or the market in general is already priced into it because of the speed and efficiency of information flow. Even the bond market, while under plenty of pressure given the uncertainty, has not seen the types of wholesale declines that would indicate a default was imminent. Secondly, we must not kid ourselves. Lawmakers in Washington know how much is on the line and how disastrous a default would be, and while there has been much political grandstanding and theatre throughout the process, at the end of the day, a deal will be cut, especially if it means preserving re-election chances for many of the incumbents. Unfortunately, this is how Washington works and the media likes to capitalize on the uncertainty. Don't fall victim to the circumstances which don't seem that dire after all. One of the toughest things for many Gen Y investors to accept is that building wealth is exactly what its name implies: a process, sometimes slow, that starts with something small and ultimately grows to something much bigger. Much of the time, we're put out of a touch with reality when we hear stories of instant wealth being "made" either by investors, company founders or the like. This all highlights an important principle: it's easier to make money when you already have it. However, do not fret! Just because you're not starting off with a billion dollars does not mean that it's impossible to become wealth; just the opposite, in fact. Just because building wealth can be a slow process does not mean it's the wrong process. Being cautious but at the same time well-calculated, meaning you have an asset allocation that fits your tolerance for risk but also allows you enough flexibility to enjoy the here and now, will ultimately make you a better person and investor. Many readers know that I like to use examples to illustrate why even though building wealth may seem "slow" it ultimately pays off. Consider an investor who begins with $5,000 at at age 22 and is able to earn a 7% return without adding any additional capital. Of course, 99.9% of investors reading this blog will actively add to their nest egg over time, but this example proves that even if our investor doesn't, the magic of compounding still works. After 40 years, our investor would have $74,872. Now, some people might ask what the point of investing and saving is if we can't enjoy today. My response is simple: give yourself enough flexibility to enjoy today - set aside a comfortable amount of discretionary income per month so you can go away on a trip, buy a new TV or do whatever else you'd like to do - and by investing the rest today, you'll ultimately ensure a much earlier retirement than age 62. It never ceases to amaze me how difficult some people find it to save money when such an activity should be a fact of life. I believe many people assume that the only people who are able to achieve financial independence, and ultimately, a comfortable retirement, are those that are already wealthy or who have extremely high paying jobs. Nothing could be further from the truth! Saving and investing money is inherently easy on any income and here's why: If you really want to save your money, you will. This boils down to psychology because some people simply do not want to save, even though they should to ensure a comfortable future. How can this be accomplished? Try cutting out unnecessary discretionary purchases and using that money instead to fund a retirement account that owns a basket of index funds. At this point, many readers might question this strategy since we most often derive much of our satisfaction from these purchases, but it doesn't have to be difficult. Instead, rotate every week, month, or whatever time interval you've chosen to changing which discretionary purchase you swap out for savings funds. If you go out to eat 5 times in an average month, try going out 2 or 3 times instead. For a family of four, you'll likely save well over $100 a month using this strategy. If your family likes to go out to eat, why not go out to eat 5 times again the next month but drink coffee at home each day instead of going to Starbucks? Scaling back these are the activities are one key way in which you will save a lot of money in the long run. Of course, all of this goes without saying that you should follow the adage of "paying yourself first" and simply save a set percentage of your paycheck, say 10-20%, if possible and devote that to an investment account. You will be amazed at how much you can earn in 30+ years just by investing $100 a paycheck. This is the magic of compounding at work but it's only possible through disciplined saving. Saving money is inherently easy, it's just that many people don't find it fun because the rewards we realize from it do not satisfy us instantaneously. I was excited to hear news out of Vanguard yesterday that they've lowered their minimum initial investments for their Target Retirement funds to $1,000 from $3,000. This is encouraging news as many young investors find it difficult to invest large amounts of cash at one time. This reduction in initial investment will open up some of Vanguard's most interesting offerings to new investors. At their core, target retirement funds set a specified retirement year - 2040 for example - and invest the fund's assets for an investor planning to retire in or around that year. Right now, the 2040 fund has 89.96% of assets invested in stocks, 9.98% in bonds and 0.06% in short-term reserves. Ultimately, as 2040 approaches, the fund's managers will decrease the amount of equities in the portfolio in order to lower the fund's risk profile. Even better, the Target Retirement funds are funds of funds which own index funds and not individual stocks. This news is a welcome development for investors for another reason: as Vanguard attracts more assets, they benefit from economies of scale and will continue to lower fund expense ratios which benefits all investors. In 1976, Vanguard pioneered the index fund by offering it to retail investors for the first time. The company has not looked back and is now the leading manager of index funds and consistently one of the top 3 investment managers in the world by assets with $1.6 trillion under management as of February 2011. I'd like to take time in this post to reflect on what the availabilty of the index fund has meant to individual investors by posting an interview with two of Vanguard's experts - Sandip Bhagat, head of Vanguard Quantitative Equity Group, and Kenneth Volpert who oversees Vanguard's bond funds. The whole interview is well worth reading but the best part about the interview is that both experts point out that the rise of new "fundamental" or "intelligent" indexes is not truly passively managed investing. In short, this is just another way for Wall Street to sell us an actively managed product that is likely to fail in its attempt to outperform the true passively managed index fund. As Mr. Bhagat notes, "The point is that any portfolio configuration that goes beyond the size of a company's market-determined value does not represent a passive approach to investing. It brings with it a belief that the market's prices are incorrect, and that some other factors merit more attention. " This is key because many retail investors assume that a fundamental index offers a better way to capture the "true" value of a basket of stocks. Therein lies the problem - the true value of a company is really what the stock market dictates it is based on its current trading price. Yes, the future value of a company may be drastically different, but we cannot predict or know the future with certainty. The information that is used to create fundamental indexes is often based on earnings reports or other information that happened in the recent past. By attempting to place a fundamental value on stocks, the fundamental "index" winds up becoming nothing more than an actively managed impostor as stocks are changed based on earnings and other data. Wouldn't it make more sense to simply take the reflection of the collective knowledge of every investor in the world - the price of a stock in the here and now - and build a true index around that? That's precisely what Vanguard did in 1976 and why they have been so successful. Need more proof? Since its inception in 1976, the Vanguard 500 Index (VFINX) has returned 10.79% on average, annually. What has your actively managed fund done for you lately? Things have been pretty hectic around here so I'm going to offer up a quick video for anyone that wants to see how and why passively managed (indexed) investment strategies outperform actively managed strategies over the long-term. This is a video inspired by the Bogleheads - investors who follow Vanguard founder Jack Bogle's investment philosophy - and is right on the money. While it may seem goofy at first, there are plenty of truisms within that are often overlooked by investors. Up until yesterday, it had been a long time since I really watched CNBC. The business news network is a ubiquitous presence on trading floors and in the homes of many investors throughout the world. As a younger investor, I was one of those people addicted to the constant flow of information and endless ticker scrolling across the screen. Ultimately, I wised up and turned the channel to something that became more interesting, namely, SportsCenter. The problem with CNBC and other business news networks is that not only do you suffer from information overload, but by being drawn into the constant drone of information, you're more likely to make a rash investment decision as you begin to believe in the madness of crowds and adopt the "herd mentality." You may even think things like, "hey, if everyone is doing it, why am I so late to the party?" I tried watching yesterday but I felt compelled to turn it off after a half hour. A key afternoon segment focused on gold prices hitting all-time highs and the show highlighted different ways individuals could "profit from rising gold prices". This is precisely the problem with CNBC - where were they when gold prices were at levels much lower than they are now? I fear some investors watching the network may have felt compelled to add a significant gold position to their portfolio at the expense of a more rational thesis (namely, having a plan and sticking to it). Unfortunately, this type of thing happens all the time on business networks. If it's not gold that they're talking about, you can simply insert whatever commodity/market sector/area of the world that's experiencing major out or underperformance and CNBC will have plenty of "experts" on telling you how you can make money off the moves. This is not to say that I blame CNBC - they're simply catering to an audience who craves business and market news - but therein lies the problem. A financial news network should never dictate what investment decisions you make and the noise that it represents serves as a big distraction when it comes to your overall investment plan. If investors are serious about building wealth, they would realize that you don't build wealth by following what CNBC says. You build wealth by creating an asset allocation plan that works for you and systematically investing in it for the long-term. When thinking about investments, it never ceases to amaze me at how effective compounding investment returns are. As they say, the proof is in the pudding, and by using a simple financial calculator, it's easy to show how beneficial saving and compounding actually is. One of the things I often hear from young investors - Gen Y in particular - is that they feel that investing for retirement is something that can be put off since it's so far away. I don't like this line of thinking at all because it's self defeating: we save and invest not to retire at an old age, but to have enough of a nest egg built up to retire whenever we want! Even worse, investors tell me that $100 saved here and there or their small $1,000 savings today won't amount to much so it's not worth investing until they start their careers. This is even worse thinking! Here's proof: If you invest $1,000 in an index fund, assuming a 7% average return and never touch it for 40 years you will wind up with $14,974 due to investment compounding. If the market gets cooking and long-term returns average 10%, you will wind up with $45,259. Now just imagine what would happen with each additional dollar saved! Much has been made about mutual fund performance figures and how certain pieces of data don't tell the full story when it comes to evaluating a fund. I would advocate not worrying about what a mutual fund's Morningstar Star Rating is because star ratings are assigned based on risk-adjusted past returns which are not indicative of future performance. Further, it may also be a stretch to compare a fund to a certain benchmark because its mandate and overall investment policy may be drastically different than what the index's is. For example, a bond fund that does not invest in U.S. Treasury securities may be compared to a bond index with a heavy weighting towards Treasury securities. If U.S. Treasuries perform well compared to other global bonds, it may be a stretch to legitimately say the fund "outperformed" the index. On the other hand, a fund investing primarily in small-cap growth stocks may experience style drift and its strategy could begin to include beaten down companies that qualify as small-cap "value" firms. A recent Wall Street Journal article noted that looking at total returns works best when you understand what a fund's expense ratio is and also when you look at fund returns over longer time periods in order to smooth out the effects of short-term market movements. However, even this approach isn't foolproof as the Journal notes; "even if a fund has outperformed for 10 years, its odds of outperforming over the following three to five years are only about 50-50, research by Vanguard Group suggests." Overall, investors are best served by focusing on the index rather than on an actively managed fund. If you simply index your money, your index funds will own the entire market rather than cherry-picking certain securities. This strategy is beneficial because not only is it extremely inexpensive, you also won't have to worry about comparing your fund's performance relative to the benchmark because it is the benchmark. Costs Matter - Stick With Index Funds! Mutual fund giant Vanguard announced that they're slashing some of their industry-low expense ratios on several index funds, including many of their international offerings. This is welcome news for Gen Y investors because it means that those of us who invest in index funds (and we all should!) get to keep more of the return that our funds generate. Consider this: You invest in an actively managed mutual fund that charges a total of 7%; a 5% front end load is paid upon purchase of the fund and an additional 2% in management/other fees get tacked on as well. To make up for that immediate hit, your fund has to return 7% just to break even. Even worse, it's quite difficult for portfolio managers to consistently beat the market and even harder for investors to pick those managers who will! Alas, it's not all bad news. Index fund purveyors like low-cost leader Vanguard, Fidelity and TIAA-CREF all offer index funds that passively track a market index and earn the return of the market, minus a very small fee. Whereas an actively managed fund may charge you 5%+, an arm and a leg indeed, index funds typically charge very minimal fees. In Vanguard's case, the expense ratio on their Total Stock Market Index (VTSMX) is only 0.17% - now that's cheap! It's amazing to me that the simplest principles in the world of finance are often the most overlooked. Granted, I don't expect CNBC and other financial news outlets to offer lessons on the basic concepts of finance but I can dream! Vanguard, the massive mutual fund management firm that pioneered the index fund for individual investors, has a great article on the power of compounding on its website. Basically, compounding is the effect that you get when your earnings grow on top of prior earnings. These earnings can be in the form of interest, dividends, capital gains distributions or the like. For example, if you have 1,000 shares of an index fund with a NAV of $10 which pays out a quarterly dividend of 0.25 in the 1st quarter, you will have $250 in dividend income. If you decide to reinvest that, come the next quarter, you will have 1,025 shares (holding the price of the fund constant). As the fund pays out its dividend of 0.25 in the 2nd quarter, you will subsequently receive $256.25 in dividend income. Imagine the results if you keep adding to this by investing systematically. All of this highlights a key principle that is proved true due to compounding: its easier to make money when you already have it. That adage shouldn't discourage you - in fact, it should inspire you. After all, by starting at a age young like I hope members of Generation WISE are, you will begin to realize the full benefits of compounding investment returns. As your investments and savings grow from a young age, compounding will work its magic. Vanguard says that for compounding to work, you need to "start now, invest regularly and be patient." I couldn't have said it better myself. "There's Plenty of Time To Save"
Perhaps you're like me, 22 years old and excited about graduating from college and starting in the proverbial "real world". The prospect can be exciting and frightening at the same time, but also full of misconceptions. A recent article on FOXBusiness.com highlights "8 Misconceptions College Students Have About Money". These misconceptions run the gamut from fear over credit, seeing no need to budget and other general financial pitfalls. Yet, the worst misconception to me is the idea that there's "plenty of time to save." While retirement may seem far away - 40+ years is likely for a worker just getting into the workforce - the day where you will begin to seriously consider it will come faster than you think. As a result, the planning and saving that we do today will affect both when we retire and how we retire. By that, I mean that how much money we have saved and invested will dictate the terms of our retirement - will we retire at 62, collect Social Security (if it's still around) and live comfortably off a lifetime of savings - or will we "retire" at 70, collect Social Security yet be forced to take a part-time job to cover rising living expenses? The former should be our goal, yet the latter is an unfortunate reality for many people. Those are harrowing statistics because it means that we are forgoing the best years of our life to save - when we have limited obligations such as a house payment or raising a family - and wasting precious time. Sure, a dollar today is worth more than a dollar in the future. However, a dollar today is not worth more than a dollar invested today for 40 years earning a 7% average annual return. I have a confession to make. As a young investor in the late 1990s, I was naive and quite taken by the Internet euphoria. At the time, I owned a single stock - PepsiCo (PEP) - which I still own to this day. However, I couldn't help but watch stock prices explode without feeling like I should be a part of the game. Granted, I didn't have much spare cash to work with, but when I did, I was advised by my broker to buy Munder NetNet - one of the pioneering Internet-focused funds that grew to a whopping $8.5 billion in asset size in April of 2000. I should have been smarter, but as an 11 year old investor, I believed in the transformative power of technology and the "new paradigm". Didn't you? Contrary to what Wall Street tells you, it's OK to be conservative as a young investor. And by conservative, I mean that it's OK to invest in index funds. Interestingly, former bond trader and famous author Michael Lewis of Liar's Poker, Money Ball and The Blind Side fame, notes in a recent interview that he took advice from a broker and in 2008 purchased Lehman Bros. preferred stock and auction-rate securities - both investments were wiped out by the financial crisis and Lehman's bankruptcy. So, after this gut-check experience, what does Lewis advocate for individual investors? Surprise, surprise! He says, "be conservative, don’t listen to brokerage advice, and index." I couldn't agree more. Ultimately, Wall Street is all about sales and brokers are at the forefront of making sure products - investments in this case - get sold. Unfortunately, the first place they often look to unload their worst products are to unwitting individual investors. It's best to keep it simple by indexing and to avoid listening to brokerage advice! The financial media has been growing increasingly giddy over the prospect of the Dow Jones Industrial Average (DJIA) eclipsing 12,000. Now you're probably thinking "haven't I heard this already?". Indeed, you have. On Monday, Tuesday, Wednesday and now today, the Dow hit an intraday high of just over 12,000 - a level considered to be a key level of "resistance" for the overall market. The Wall Street Journal's homepage has a headline boldly proclaiming: "Dow Regains 12,000". Not to be outdone, similar headlines can be found all throughout the financial press, detailing the minute-by-minute moves in the Dow as it approaches, reaches, and surpasses 12,000. In the case of the last 3 days, this type of reporting held little relevance because the Dow didn't close above 12,000. The last time that the Dow closed above 12,000 was during the height of the financial crisis - on June 19, 2008 - when the index closed at 12,063. Thus, given all that's happened in the financial markets the past few years and the way that stocks have rallied since their bottoming out in the beginning of 2009, 12,000 may seem like a significant level for the Dow. Alas, it's not. The constant reminder that the Dow is "regaining" 12,000 serves more as a testament to the resilience of U.S. markets than anything else. It holds little educational or predictive value. After all, the Dow only includes 30 companies and the true driver of stock prices - expected future earnings - have not changed all that much in the past few days. From a psychological perspective, Dow 12,000 is a good sign because it means that investors have renewed optimism in stocks and are pushing prices higher. On the other hand, what do investors gain by reading news headlines detailing tick by tick moves in the Dow as it approaches a level that holds little relative importance? Not too much, especially since the fundamentals of Dow 12,000 are pretty much the same as Dow 11,999. Unfortunately, much of my recent posts have been regarding things that millennials are "doing wrong" when it comes to saving and investing. I've noticed that most Gen Y's who have poor saving and investing habits are in such a predicament because their parents may not be great savers. The old saying "the apple doesn't fall too far from the tree" is quite true when it comes to successful saving and investing habits. After all, young people are quite impressionable and even leading up into our college years when we crave independence, many of us still look to our parents for signs of successful money management. With that said, if you have manageable credit card debt - and 38% of Gen Y does - start paying it off! The time to do it is now, while you're still young. The worst thing in the world you can do when it comes to paying off your debts is to wait. Even better, pay off your debts in full, if you can. While that may seem unrealistic and come at the sacrifice of immediate savings and investing goals, remember that you have plenty of time to work towards your investing goals and you will be much better off having gotten the debt burden off of your back. After all, interest costs will ultimately grow exponentially if credit card debts go unpaid or if you continue to just pay the minimum payment each month and then any future earnings you have will likely go towards paying off your creditors. This is a sad situation that many millennials face but it shouldn't dishearten you from an investing perspective. Once the debt burden is erased, begin to focus on investing your money and you will feel so much better knowing the specter of a credit card company is no longer in your rear-view mirror. A recent Kiplinger's article points out that Gen Y investors are typically more risk averse than other generations were when they were the same age. This risk aversion means just what it says - Gen Y investors are less comfortable with risk - and in turn have put more than half of their savings in relatively safe investment vehicles like "bonds, money market accounts or cash" as the article points out. "They've seen little or nothing of the upside of long-term investing in stocks. In the decade since the oldest Gen Yers entered the workforce, the stock market has languished. Worse, many saw their parents' savings evaporate in recent years. If that reluctance to invest in the stock market lasts, many will come up short in their golden years." While I'm sure the roller coaster ride that the stock market has taken investors on in the wake of the financial crisis was unsettling for many investors, I believe Gen Y's risk aversion boils down more to their temperament and personality. After all, Gen Y tends to have a shorter attention span and a burning want for instant gratification. Maybe they simply don't understand the benefits of investing the stock market and don't have a desire to learn. As a result, they park their cash in relatively risk-free vehicles like CDs and money markets, earning a meager return that can be eroded by inflation. 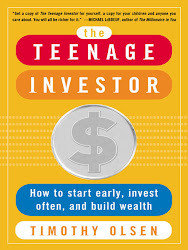 If Gen Y investors aren't motivated to learn about the importance of taking on at least some risk for higher potential investment returns over the long-term, it will be very difficult to change that mindset since it's probably ingrained in their psyche already. It can be done, however, and I remind readers that while risk aversion can be important, it's simply not practical for Gen Y investors. We have the most to gain when investing because we have time on our side. However, in order to utilize that time we need to take some risk so that we can be compensated for bearing that risk. A time-tested investment principle continues to hold true, all else being equal: greater risk equals greater potential reward.